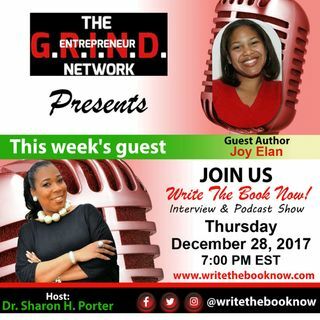 Joy Elán is an author of six books (three poetry books, one academic book, and two fiction novels). She is from Oakland and Berkeley, CA. Born with a hearing loss, she has been wearing hearing aids since she was 15 months. Her mother always told her that she had three things against her: Black, female, and disabled. Joy went through life prepared for what she would face and has smiled throughout everything she has been through. She successfully overcame a good number of them as she’s far ... See More exceeded low expectations that others had for her, including having earned her Bachelor’s Degree from UC Berkeley and Master’s Degree from Stanford University. As a spoken word artist, she won third place in Oakland’s Got Talent in June 2014 for her spoken word piece, “I’m A Survivor.” She won twice at the National Poetry Awards for Poetry Video of the Year (2015) and Poet of the Year (2016). Joy Elan has received Table of Honor in some of the international book festival categories. Currently, she works with youth in Oakland and Berkeley, CA and performs spoken word at different places in the US, sharing her gift and inspiring other people.